Taylored Life: Oh Yes, It's True! Audrey is Two! Yesterday was Audrey's 2nd birthday, and we celebrated in Minnie Mouse style! 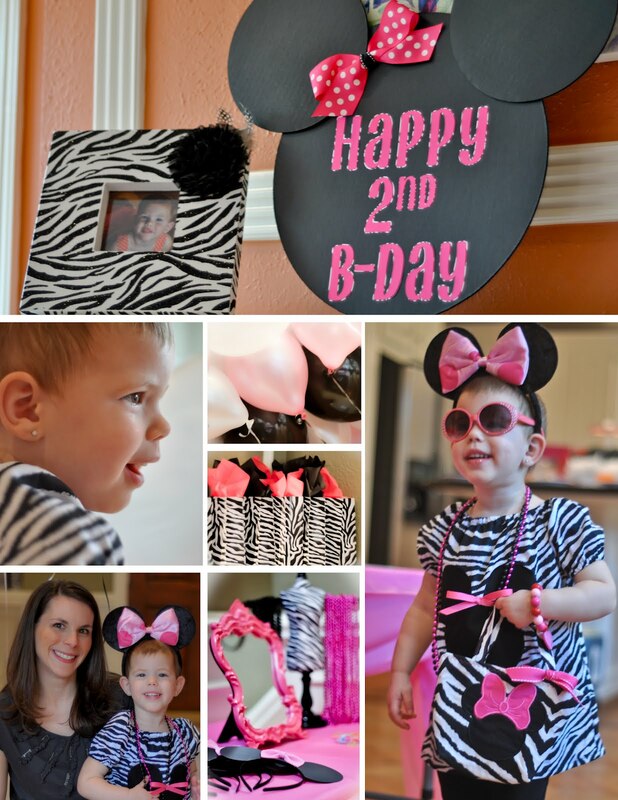 There were a lot of pink, black, and zebra print decorations to set the mood, and Audrey absolutely loved it! 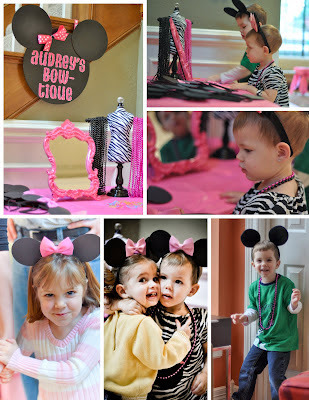 Audrey's friends were warmly greeted by the birthday girl and taken to "Audrey's Bowtique" to get dressed up for the day. Then it was time to color and play! 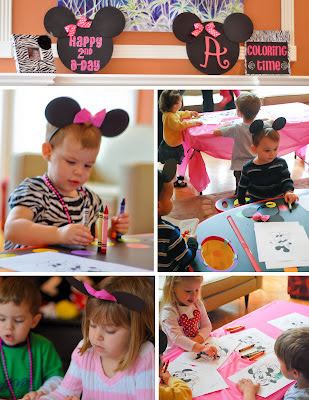 There were Mickey and Minnie coloring pages for everyone. 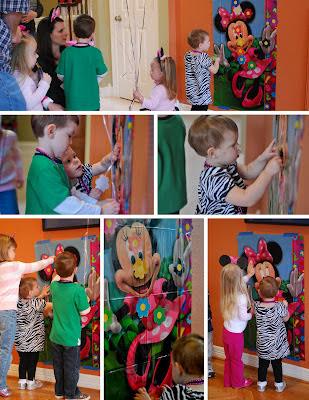 Next the kiddos pinned the flower on Minnie. At this age it was less of a competition and more of a collaborative decorating game. 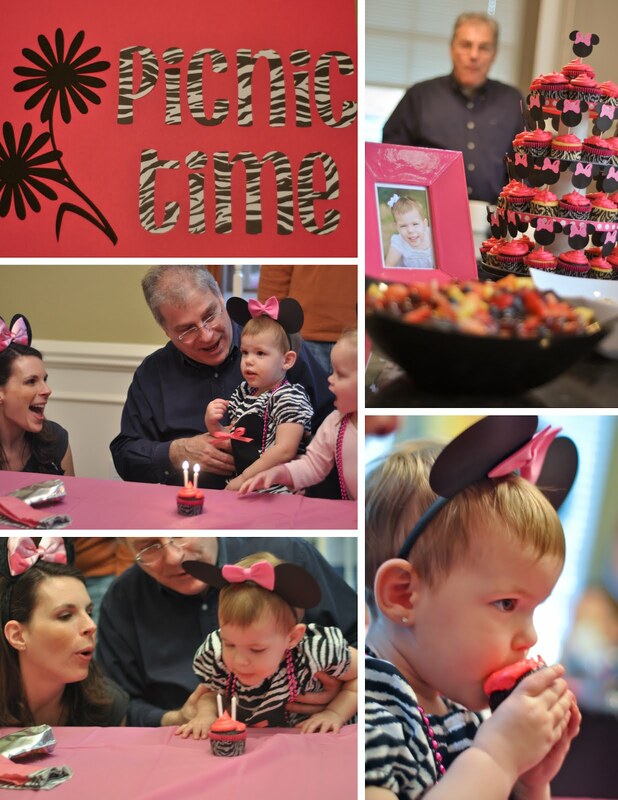 "Picnic Time" included some of Audrey's favorite foods, which are fruit, goldfish, teddy grahams, pizza, and cake, of course! Audrey has been singing "Happy Birthday to Audrey" for almost a month now, so I shouldn't have been surprised when she was able to blow out her candles all by herself! I was though, which is why you see me ready to help. She didn't need it though. Little miss independent was able to do it just fine! 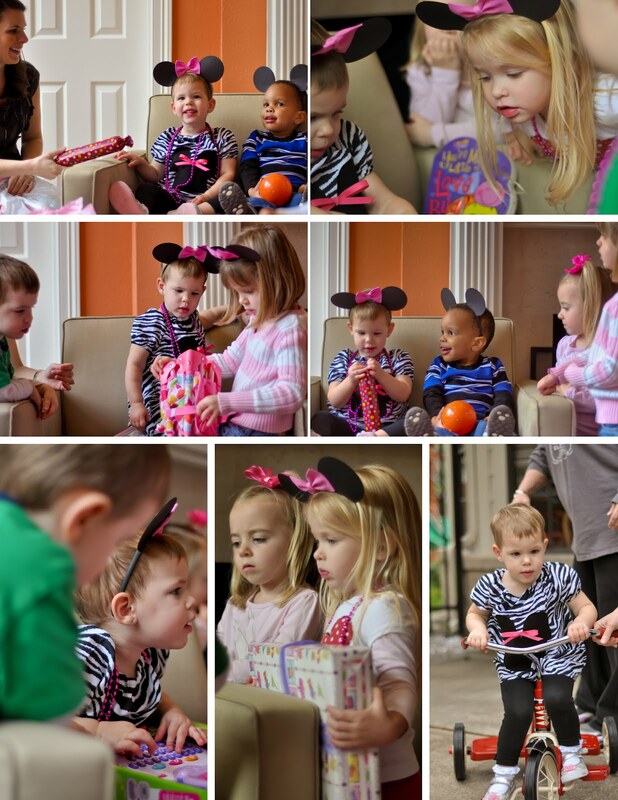 Audrey was overwhelmed with amazing gifts from her friends and family, and her friends were ready and willing to help her open them and figure them out! I had a lot of fun doing all of the decorations and details for Audrey's party this year, but more than anything, I loved getting to celebrate another year with our baby girl with family and friends. We somehow managed not to get any pictures with Ross' folks, and the picture below is one of the only ones of Ross with Audrey (can you tell he's wrapped around her little finger?). I'm truly grateful for the pictures Ross' dad, my dad, and my friend, Whitney, took so I could focus on the big moments throughout the day! Audrey had a VERY happy birthday! And yes, there are even more pictures in the album.